It’s never been done before. But like many things in the life of Alan Alderman, he’s not backing down from the challenge. This winter, Alan will battle the elements in an extreme rowing race across the Atlantic Ocean known as the Talisker Whisky Challenge. This grueling course stretches over 3,000 miles of open sea, demanding peak physical condition, mental focus, and a rare level of emotional endurance. This adventure is a serious undertaking for any individual, but Alan and his team face an additional hurdle in the race to completion. A patient at University of Utah Health’s Clinical Neurosciences Center, Alan was diagnosed with amyotrophic lateral sclerosis (ALS) in 2001, and this year, he’s hoping to become the first person ever to compete while facing the disease. Also known as Lou Gehrig's Disease, ALS is a progressive neurodegenerative disease affecting nerves in the brain and spinal cord. As Alan’s condition has advanced, he’s lost function in his legs and speech patterns, but maintains a strict strength training regimen, now augmented by rowing workouts 1-2 hours a day. The biggest challenge has been overcoming preconceived notions people have about what a person with ALS can do,” explains Alan. “I’m building strength and endurance despite conventional wisdom surrounding the disease. Alan has already defied the odds. Originally given only two to five years to live, Alan vowed that while ALS might take his life, it would not consume his legacy. Motivated to create positivity around the diagnosis, Alan put his business acumen to use, setting up an annual golf tournament and numerous walk-a-thons to promote ALS awareness. His efforts have raised over $1.3 million to date, and he hopes his participation in “the world’s toughest row” will bring even more attention to the cause. Last year, Tim Ryan, a close colleague and friend of Alan’s, approached Alan with a crazy idea. Tim was preparing to build a team of rowers for the Talisker Whisky Challenge, and was hopeful he could use Alan’s story to elevate the mission of their team and create funding for ALS research. Row4ALS was born, but not without one huge caveat—Alan wanted to be on board, rowing alongside Tim and the rest of the crew. Initially, Tim was shocked, but soon realized Alan’s physical and emotional tenacity would be a huge asset to the team. 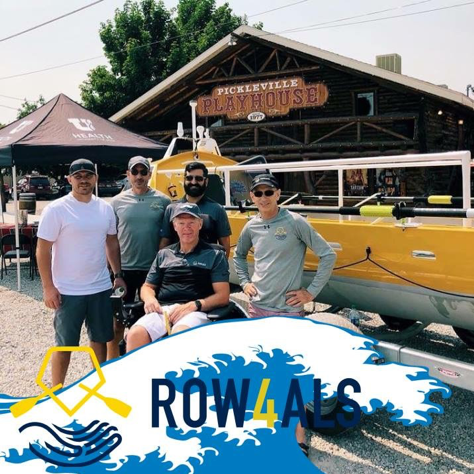 According to the group’s social media accounts, the mission of ROW4ALS serves three purposes: Raise funds for research and a cure, raise ALS awareness, and advocate for issues affecting the ALS community. 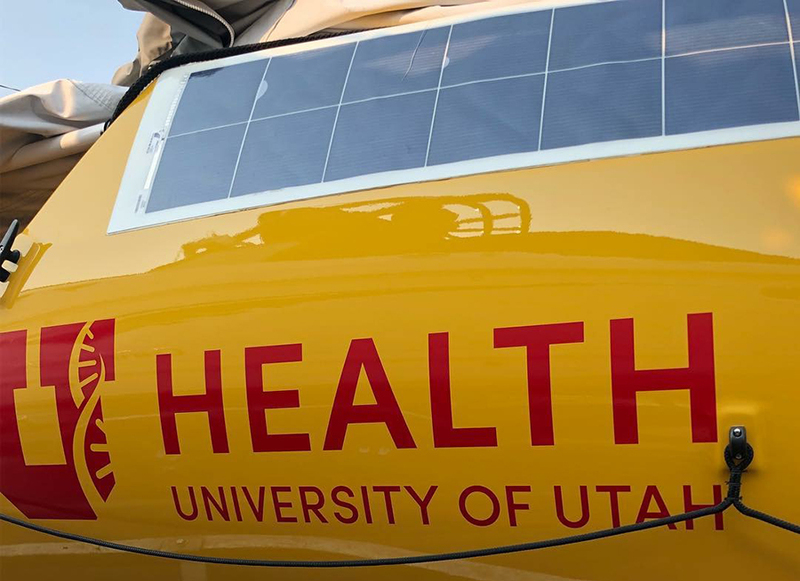 U of U Health is proud to be a key sponsor of ROW4ALS, and will be supporting the team with an upcoming showcase as part of Be Well Utah events next week. Join Alan, Tim, and their big yellow boat at the Family Health Fair on Saturday, August 25th from 9:00 am–1:00 pm. Look for a developing series of stories capturing Alan’s journey with Row4ALS, as he and the rest of the team prepare for the adventure of a lifetime. Find more information about Row4ALS.